Scott Archer is a Staff in EY’s Fraud Investigation and Dispute Services practice. 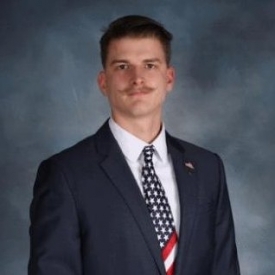 He joined the Washington, D.C. office in September 2017 after completing his studies at James Madison University and passing all sections of the CPA exam. He is currently meeting the other requirements for full CPA licensure in the state of Virginia. Scott graduated from John Tyler Community College with an A.S. in Business Administration in 2013, a B.B.A. in Accounting from James Madison University in 2016, and an M.S. in Accounting from James Madison University in 2017. Scott served in many organizations while at JMU, including Beta Alpha Psi, the Office of Student Accountability and Restorative Practices, several student boards in the College of Business, and numerous social clubs. In the Eta Delta Chapter of Beta Alpha Psi, Scott served as Chapter President for the 2015-2016 and 2016-2017 academic years. He implemented changes and new initiatives within the chapter, including a scholarship for local high school students that has awarded $4,000 to date. Student involvement and member initiation also increased from efforts to improve record keeping and candidate mentoring. The chapter was also very active in competitions during that time, competing in over ten competitions and winning several. Scott is passionate about the concerns of faculty and students in the organization and will work hard to make sure their voices are heard on the Board of Directors. Feel free to reach out with any suggestions that you would like him to hear!